press about shop sff chips! Chips! is an online publication and occasional zine that uses food to talk about all things. We publish original stories about culture & food by a club of contributors. Chips! likes art, eating and egg yolk. Everybody eats and Chips! is for everybody. Chips! is published by Studio H, a multi-disciplinary design studio in South Africa. There’s no such thing as a free lunch, but there is an artfully traded one. There are nature’s gifts to be foraged: shell sh fresh o the rocks, shrubs heavy with sour monkey berries, an unexpected o ering on a coastal road (for the brave and skilled). This issue is about money. Dough. We explore the multifarious food culture in Johannesburg, the city of gold – and migrant workers; how global politics in uences the seasoning in Havana; and (visually) the great common denominator between the rich and poor in Hong Kong: street food. There’s no such thing as a free lunch, but there is an artfully traded one. There are cheap eats to be found and nature’s gifts to be foraged. 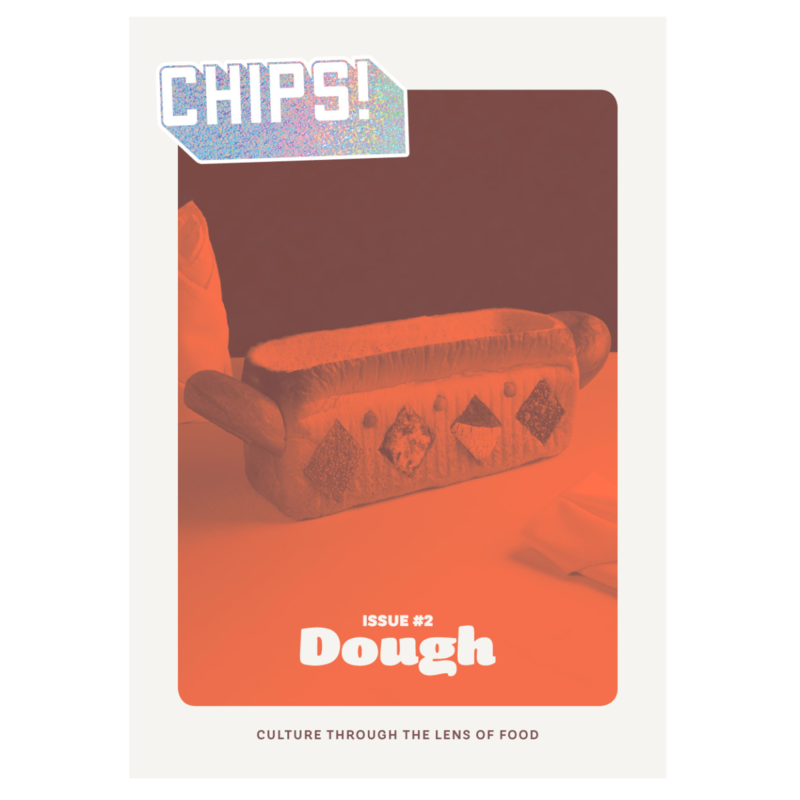 The second issue of Chips! is about money. Dough. We explore the multifarious food culture in Johannesburg, the city of gold – and migrant workers; how global politics influences the seasoning in Havana; and (visually) the great common denominator between the rich and poor in Hong Kong: street food. Also in this issue, a young writer hosts her first stokvel and finds value far beyond the monetary. We stopped at discussing the price of bread, but we do lament the price of beer. Finally, we pay tribute to the groceries selected but then left behind in the aisles after a mental calculation in the queue at the checkout counter. studio.H is a Cape Town-based multidisciplinary design studio run by Hannerie Visser.